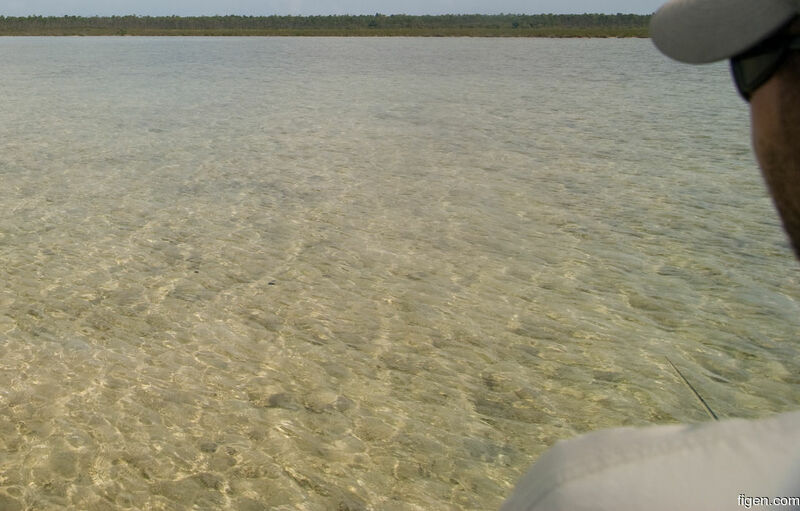 Monday Lars and I headed to the Purka flat to find some bonefish. In the channel, the fish were spooky and highly suspicious of our offerings. Here a single bone visible in the top left corner.